A qlink is just a normal link to a private message with the special feature that its content	get auto-deleted once its read. By sending this link to another user you are guaranteed that, once the message is read, its content can never be retrieved or viewed by anyone else again. 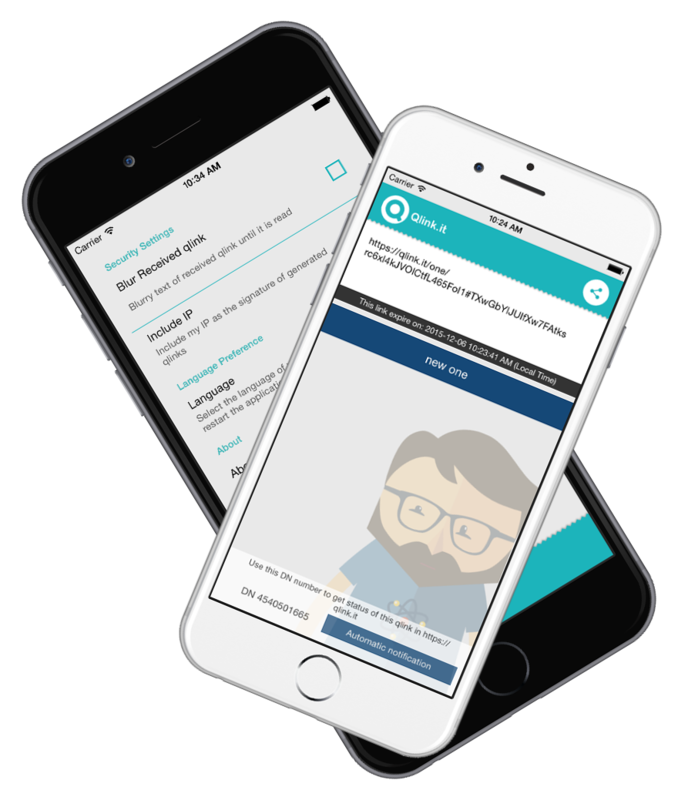 To start using Qlink.it you can use our simple web app or download our apps for mobile phones and tablets Android and iPhone/iPad. Learn how Qlink.it works in this short video. Althought a full technical understanding might require you to read the advanced FAQs, this video is a good starting point into the inner workings of Qlink.it! Using Qlink.it is extremely simple and does not require you to install special software on your computers. You can use our web app from any device or download soon our Android mobile app. Your message is "locked" with a key that is not sent to our servers. Someone with access to them cannot read your messages. If you receive a message through a qlink, then you can know that it was not read by anybody else. Once the qlink is used to read its content it can never be accessed again. Someone with access to your mail or chat log will not be able to read the content of the link. When you send a message to the service it is stored in the servers memory and is never written to hard disk. This adds an extra layer of protection against tampering. Your message has an expiration date so it will be destroyed once its reached even if nobody reads it. 1. What is Qlink.it ? Qlink.it is a new, free, and very simple and secure way to send confidential info through the Internet. 2. What do I need to use qlink.it ? In order to use Qlink.it you don't need to install anything on your computer, telephone or tablet. As a matter of fact, if you are reading this text with a modern browser then you are ready to use qlink and send confidential info to your colleagues, friends or whomever ! 3. Do I need a special e-mail account to use Qlink.it ? No, you can use your regular e-mail account. As a matter of fact, you can also send it using a chat application, WhatsApp, Skype IM, or whatever you want. This is one of the great features of Qlink.it, it is simple, secure, and neither the recipients, nor the sender need any special feature in their device. 4. How does Qlink.it works ? 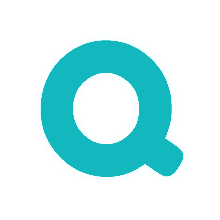 A qlink is a normal link to an Internet address, but with the special feature that gets auto-deleted after the first time anybody reads it, even a bot. As you'll see, this special feature is the key ingredient to send confidential info through the Internet: if you put the info in a qlink and send the qlink through a normal email, chat, or WhatsApp IM, then the recipient will be sure that nobody else read the info if he or she did read it after clicking on the qlink. So, when handling a qlink, do it with care to be sure that it doesn't get clicked until its recipient gets it! 5. What are the great advantages of Qlink.it ? 1. If you receive a given info through a qlink, then you know that it was not read by anybody, not even the automatic bots in the email servers. Since, if you can read it, then nobody read it before! 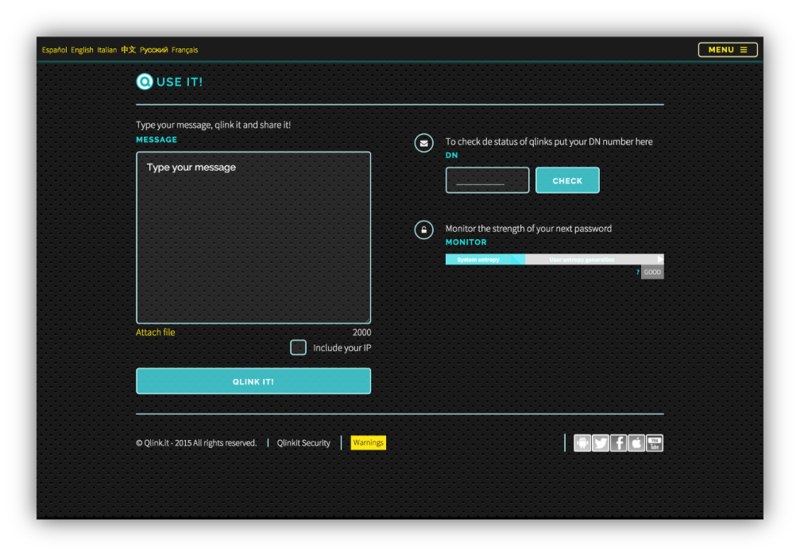 2.The info sent through a qlink does not remain in your outbox, nor in the recipient's inbox. After being used, in the e-mail boxes remains only a dead qlink with no information in it. Thus, if any of the accounts is eventually hacked, or if the other party wants to retrieve again the info for some other purpose, then he/she can't do it any more! 6. For how long will a qlink be readable ? Once a qlink is clicked and its content read, the qlink is self-destructed. Therefore, if the recipient does not keep a copy somehow, then he or she will not be able to read it again. Hence, one has to be cautious when handling qlinks, either when one is sending a qlink, or when one is receiving a qlink. Also, bear in mind that due to the high security in the storage of confidential texts –which are never written to any hard disk–, a qlink expires. Therefore, the recipient should open it before its expiration time, which is warned at the time of generating the qlink. In the current version, the qlink expires 24hs after being issued. 7. Can I keep the info that was qlinked to me ? Yes, you can copy & paste the text to a new document in your device, and you can download and save the attached files. However, for security reasons, you'll never be able to link the received info to the original sender. Notice that the info does not remain in your inbox, because the qlink is already dead after you've read its content. 8. How secure is Qlink.it ? One should always bear in mind that there is no 100% secure way to transfer information through the Internet. The only available practically 100% secure way of sending confidential information is Quantum Encryption because it's based on the laws of Nature. In a brief and incomplete picture, in Quantum Encryption one sends info codified in the spin of electrons, but if the electrons are spied by an external agent, their wave functions collapse and the recipient of the message realizes that the message is not secret any more. On the contrary, if the electrons arrive with their original wave functions, then the recipient is certain that the message has not been read by anybody at all. Qlink.it is inspired in Quantum Encryption, but it is a classical object. qlink gets self-destructed after being clicked, as an electron wave function collapses after being measured, and this feature allows the recipient to be certain that the message has not been intercepted. In addition to this particular feature, all the information is always sent and received under https secure protocol of 4096 bits, and stored within a complex system of encryption algorithms which makes it very secure, while keeping its simplicity intact. 9. Where can I find more technical information about Qlink.it ?